There are some changes afoot to my evening classes for adults….I’m going to be running monthly craft workshops on a Wednesday evening instead of the 7 to 7.55pm classes. Don’t worry core crafters- the 8 to 8.55 class is unchanged! 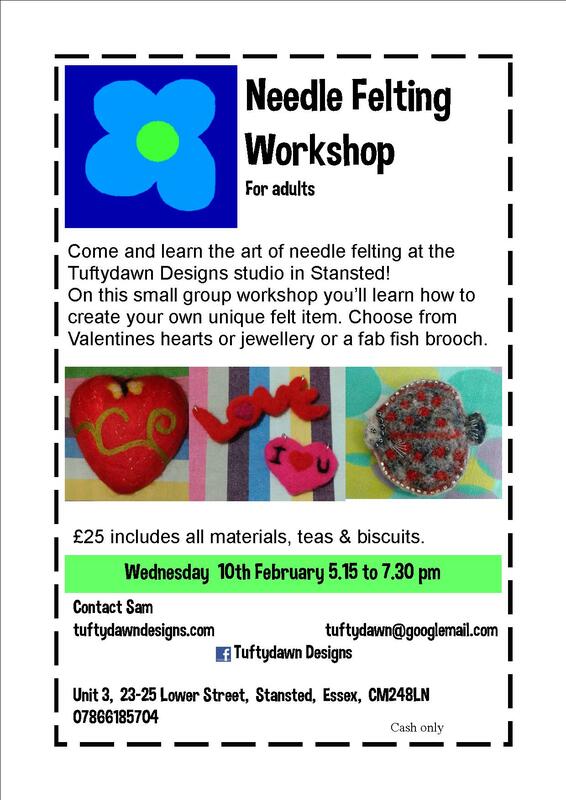 The first workshop will be on the 10th of February from 5.15pm to 7.30pm and it’s needle felting. Most folks who’ve tried it think it’s quite therapeutic stabbing pieces of wool to mesh it into a solid shape! The £25 includes all materials, teas and biscuits. Come and try it out! I am interested in learning how to Crochet, do you run any classes.